The auto-refractor is a digital refractor that works much the same way as the old-fashioned phoropter. The big difference is that, instead of the doctor manually clicking through, asking you to decide for yourself which lens is best (which is especially hard when the lenses are very nearly the same! 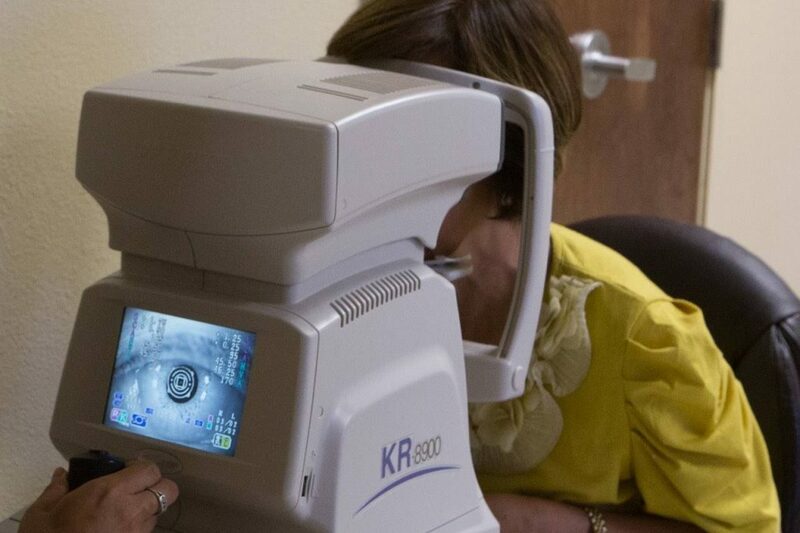 ), the auto-phoropter is controlled electronically and measurements are done digitally. This not only shortens the amount of time it takes to decide which lenses will provide you your best vision correction (super helpful when trying to get your little one to stop squirming and co-operate with the process! ), but also ultimately results in a very accurate eyeglasses or contact lens prescription. With an OCT scan, Dr. Ghislaine Lauzon is provided with color-coded, cross-sectional images of the retina. These detailed images are revolutionizing early detection and treatment of eye conditions such as wet and dry age-related macular degeneration, glaucoma, retinal detachment and diabetic retinopathy. An OCT scan is a noninvasive, painless test. It is performed in about 10 minutes right in our office. Feel free to contact Campbell River eye care clinic to inquire about an OCT at your next appointment. 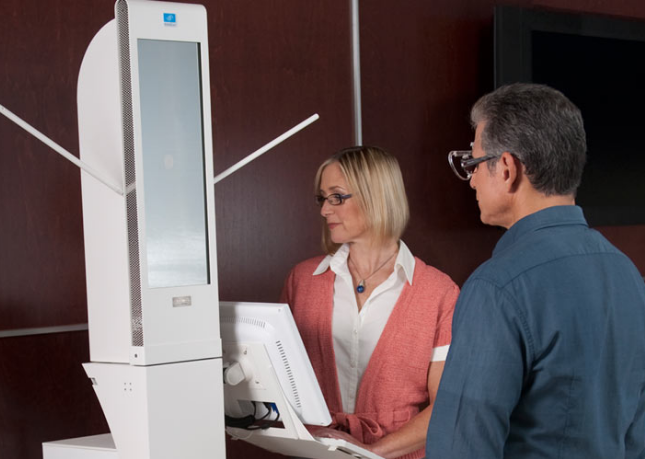 Digital Retinal Imaging allows our eye doctor to evaluate the health of the back of your eye, the retina. It is critical to confirm the health of the retina, optic nerve and other retinal structures. The digital camera snaps a high-resolution digital picture of your retina. This picture clearly shows the health of your eyes and is used as a baseline to track any changes in your eyes in future eye examinations. Visioffice is the first and only universal measuring system that allows us to obtain every possible parameter needed for today’s individualized, high-definition lenses. 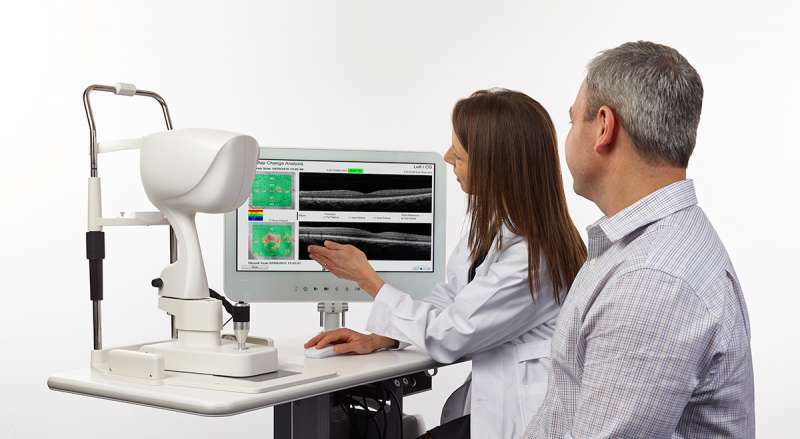 Only the Visioffice system measures a revolutionary new parameter — the Eye Rotation Center, which is the 3D position of the eye. This allows us to fit you with Essilor’s newest HD custom Eyecode lenses. Eyecode lenses are built on three levels of personalization. The first is the Eye Rotation Center (ERC), as mentioned above. The ERC is a critical parameter that is unique to each person and to each eye. The second level of personalization incorporates frame dimensions. This is critical to guarantee outstanding visual performance. Eyecode lenses are personalized to account for how the lenses will be positioned in front of the wearer’s eye. We understand that you can’t wait around for better vision. That’s why we have a variety of frames in stock that can deliver your finished glasses the SAME DAY for most prescriptions+. We have a lab in our office so we don’t have to send your prescription out to be filled. We stock lenses with premium antireflective or antiglare coatings that provide clear vision while providing lasting scratch protection. 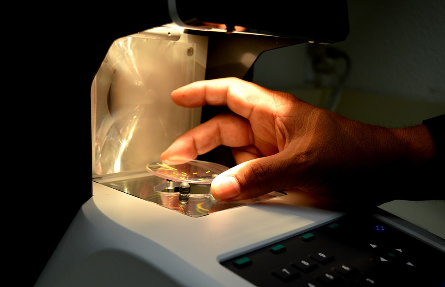 Because we have a large stock of lenses in our on-site lab, we can complete nearly 95% of our patients’ single vision prescriptions in 24 hours or less. Your new lenses will correctly match your frame, and will be true to the doctors’ prescription and quality standards.